Welcome! 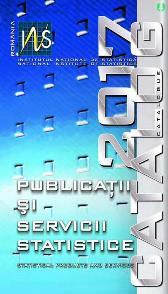 We invite you to browse our on-line catalogue of the statistical publications for the current year. You may use this online system to send orders to our publications departments, who will contact you in due time to arrange the payment and shipping. You can start browsing the catalogue by accesing the links to the right or by opening the PDF catalogue.